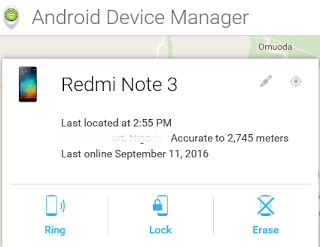 Do you know it now so easy to find your missing phone without going through lot of stress? yes it is possible. You might have come across of many tutorials online revealing how you can regain your phone from theft of missing but the steps to follow seems difficult, am glad to announce to you all that your long awaiting solution is now here. 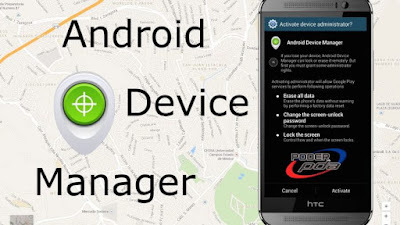 If you are smartphone users, Android Device Manager is the solution to the stolen and missing phones that you must all activate if unexpected happen. Losing your smartphone can be painful but you have lots of options on how to recover it. Google Android Device is a Google’s official and easy-to-use tool to track your Android phone or tablet. The best thing about it is that you don’t need to install an app to be able to track your devices. The only requirement is that your device must be connected to your Google account; location access must be turned on and connected to the internet. Have an internet access on the device. Log in with your google account (gmail account) and follow the steps highlighted. 0 Response to "Easiest Way To Find Your Missing or Stolen Phones"